The mining core of South Africa’s economy saw, in 2012, the most explosive and significant strike wave since the defeat of apartheid. At Marikana, it involved the killing of 34 Lonmin strikers allegedly by police on 16th August. 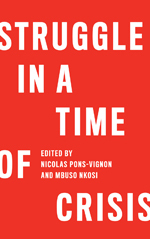 These events, and the response to them by the Tripartite Alliance of the African National Congress (ANC), Congress of South African Trade Unions (Cosatu) and the South African Communist Party (SACP), starkly reveal the economic and social issues in South Africa today, highlighting how many features of the apartheid system have been reproduced and even intensified. These events have drawn attention to the scale of South Africa’s mineral wealth and the industry’s dependence on cheap, black, and often migrant labour. In April 2010, a Citigroup report identified South Africa as the world’s richest country in terms of its mineral reserves, valued at $2.5 trillion. Platinum group metals (PGMs) constituted $2.3 trillion, the bulk of this value, all located in the Bushveld Ignateous Complex (BIC) geological formation spreading across Gauteng, the North West and Limpopo provinces. This area also contains the world’s largest chromium and vanadium reserves and produces ferrochrome, nickel and other minerals. Platinum is one of a family of six chemically-similar elements that make up the PGMs. South Africa is estimated to hold 87% of the world’s PGM reserves and accounted for 76% of world platinum production in 2009. Since the early 1990s, platinum has been the fastest growing sub-sector within the mining industry and the BIC area has been the fastest growing South African region with growth exceeding 15% in some years. The sector is dominated by three big producers: Anglo American Platinum (80% owned by Anglo American), Impala Platinum and Lonmin. Against this backdrop, there are four systemic factors underpinning events at Marikana. The MEC refers to the core set of heavy industries, powerful vested interests and institutions which evolved around minerals extraction and processing and their interaction as a distinctive system of accumulation whose dynamics and linkages have determined South Africa’s pattern of industrialisation. Critical actors in the MEC were the six mining houses that grew out of the minerals revolution in the late nineteenth century, established the migrant labour system, fused with Afrikaner finance capital in the 1960s, and diversified out of the minerals and energy core so that by the 1970s and 1980s they dominated the whole economy. The concentration of industrial and money capital in the MEC rested on two pillars: state support for key sectors, particularly through parastatals and tariff and pricing policies, and the extreme exploitation and political oppression of the black majority. The political settlement of 1994 protected white capital, despite more radical demands of parts of the liberation movement. Since 1996 the ANC has reduced capital and exchange controls and allowed conglomerates to move their primary listings abroad, which they have combined with intensive unbundling at home. This has involved selling some of their (less productive) assets to the aspirant black bourgeoisie who were regarded by many as a buffer against attacks on capital. These developments have reproduced and transformed the MEC’s influence across the economy. The foreign listings and unbundling of the big productive capitals have meant a (domestic) focus on their productive, mining core and an emphasis on the internationalisation (and financialisation) of their operations. Simultaneously this unbundling has led to the emergence of distinctively financial corporate groupings with an increasing amount of domestic power as the financialisation of the economy has intensified. The post-apartheid economy then could be said to have been dominated by ‘three Fs’- capital flight, finance and foreign ownership. In platinum, capital’s restructuring created the Anglo American Platinum Corporation (Amplats), formed as Anglo broke up its old JCI holdings into JCI Ltd (gold, ferrochrome, base metals); Johnnic (industrial holdings); and Anglo Platinum which amalgamated with Anglo’s Rustenberg Platinum Holdings. Amplats is listed in London and controls 40% of global output. Impala unbundled from Gencor and also listed in London, with Lonhro renamed Lonmin in 1999, divesting itself of non-core assets. Anglo-Swiss multinational Xstrata has a 25% stake in Lonmin. Xstrata is also one of South Africa’s biggest coal producers, and an important supplier to Eskom. Commodity giants Glencore and Xstrata were negotiating a merger throughout 2012. The platinum industry exhibits the central features of South Africa’s political economy – monopolistic industry structures, tight corporate control and the co-option of emerging black capitalist interests. The evolution of platinum extraction also reflects the continuing emphasis of post-apartheid economy on exporting minerals over local beneficiation, the diversification of the economy, and greater employment generation. The second issue Marikana reveals is that much of the century-old migrant labour system remains despite nearly two decades of reform of the apartheid labour market system. The mining industry remains wedded to its apartheid past in its dependence on cheap labour. Lonmin workers were striking for a pay rise from around R4 000 to R12 500 a month, although the figures are disputed. Pay scales are complex, particularly as labour brokers hire approximately one-third of the workforce across mining. The majority of mineworkers are migrant labourers from across South Africa, particularly the Eastern Cape province, but also from Mozambique and Lesotho. For example, of the 52 000 total workforce at AngloPlats in 2012, 45 000 were from South Africa, 3 677 were from Mozambique, 1 600 were from Lesotho and 280 were from Swaziland. Their annual work cycle only allows for breaks at Christmas and Easter as was so before 1994. The migrant labour system, as established by the mining houses at the end of the nineteenth century, meant the devastation of the ‘labour-sending’ areas which were forced to rely on mineworkers’ remittances. The Eastern Cape supplied labour to the gold mines of the Witwatersrand from the 1890s onwards, and the area remains today both one of the poorest regions of the country and a major labour-sending area - particularly the villages of the former Transkei ‘homeland’ around Lusikisiki, Bizana and Flagstaff, origin of a number of the miners shot at Marikana. A further feature of the apartheid migrant labour system was the compounds where mineworkers lived and which functioned as a key means of labour control. These have been abandoned but not replaced by decent company houses. Instead the cash allowance which companies now offer workers to ‘live out’ has fuelled the growth of shack lands around the mines where appalling living conditions indicate the social and labour plans of the Mineral and Petroleum Resources Development Act have been ineffective. The third issue Marikana exposes is the lack of adequate and coordinated planning of the development of such a large and important part of South Africa. Haphazard and unplanned development of the built environment has been rampant. This is at a time when the largest municipality in the BIC appears to have collapsed completely. Last year the auditor-general was unable to complete its audit of Rustenburg. In the previous five years, Rustenburg received five successive qualified audits. Yet this has been one of the fastest growing parts of South Africa. The fourth issue upon which Marikana has shone the spotlight is the informal financial sector and growing levels of unsecured debt. The growth of micro-lending has been phenomenal recently despite legislation such as the Usury Act aimed at protecting the poor. According to the National Credit Regulator, South Africa’s debt sits at R1.3 trillion, of which almost 10% is unsecured credit. Some 62% of unsecured credit agreements come from those earning less than R10 000 a month, and 22% are from those earning less than R15 000 a month. Moneyweb estimates that, for South Africans earning between R3 500 and R10 000 a month, as much as 40% of their income goes toward covering loan repayments. Of 19.6 million credit active consumers in 2012, 9.2 million of them are ‘impaired’, i.e. three or more payments in arrears, or with an adverse listing or judgment or administrative order against their name. This often takes the form of garnishee orders when employers are ordered by the courts to deduct debt repayments directly from workers’ salaries. Many mineworkers were striking for higher wages in part either because garnishee orders were leaving them with little on which to live or because they were indebted to the unsecured lenders operating either outside the mines or in the cash loan shops that have grown up. There are at least 13 ‘micro-lenders’ in Marikana alone. It is too early to say what will be the lasting effects of this crisis. Amplats announced 14 000 job losses in January 2013, blaming falling world market prices but no doubt seizing the opportunity to increase profitability by limiting global supply, pushing prices back up, and trying to break the new militancy amongst workers. Much of the current discourse centres around the Farlam Commission of Inquiry established by the ANC government. From our perspective, while it is important for clarity to be obtained on the events around the day of the Marikana massacre, the focus should be broadened to examine the four root causes outlined above. The Marikana tragedy is the epitome of today’s MEC, reflecting both the economic and social failings of post-apartheid development for the majority. It reveals the continuing power and determining role of the MEC and white monopoly capital, the virtually unconditional support given to it by the ANC and its newly-enriched black elite, the persistence of migrant labour, the appalling pay, working and living conditions of mineworkers and the confused and opportunistic complicity of sections of the labour movement. Dr Sam Ashman would like to acknowledge the financial assistance of the National Research Foundation (NRF) towards the research that informed this article. Opinions expressed and conclusions arrived at are those of the author and are not necessarily to be attributed to the NRF. Sam Ashman is a Post-Doctoral Research Fellow at the University of Johannesburg and a Visiting Senior Researcher at the University of the Witwatersrand. Ben Fine is Professor of Economics at the School of Oriental and African Studies, University of London, Visiting Professor at the University of Witwatersrand and Senior Research Fellow attached to the South African Research Chair in Social Change, University of Johannesburg.